The following story originally appeared in Highsnobiety Magazine Issue 14. Facebook is fostering some of the most close-knit communities in sneaker and streetwear culture today. To learn more, we spoke with the admins behind some of the biggest groups on the platform. Last October, New York City skate label Supreme issued up the latest in their series of photo T-shirts, featuring none other than Atlanta rap legend Gucci Mane, photographed by cult film director Harmony Korine. Gucci had just completed a 39-month-long stint in jail, and following his release, quickly unleashed a salvo of new trap bangers. I was pretty hyped, along with many other Guwop fans. And I really wanted that tee. Not at all a stranger to Supreme drops, I thought I had a decent chance of copping direct through Supreme’s online shop, but as the story goes for so many people these days, I just didn’t have the chops to add-to-cart quick enough. My plan B was to ask a friend who was fairly tight with the Supreme Paris crew, but no luck. Then I scrambled to get a proxy for the Japanese release, which was two days later. Again, no luck. I quickly realized there was nowhere to go but the secondary resale market. I found the Gucci Mane shirt for sale through Facebook group Supreme Talk, and although I paid about double retail for the T-shirt, the story ends well — it arrived in the mail quickly and I was happy. This is the case for so, so many sneaker and streetwear fans today, on both the buying and selling sides of the equation. 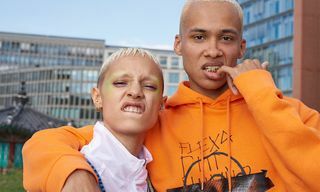 Certain highly-coveted products, especially from brands like Supreme, have created huge secondary markets, giving rise to reselling websites like Grailed and Klekt, as well as burgeoning groups on social media platform Facebook, of all places. While direct commerce is a big part of the Yeezy Talk platform, the page also fosters discussion, and many users frequent the group with the hopes of getting and staying educated on everything to do with the page’s namesake, Kanye West. And while music and fashion are naturally part of that content, the insane popularity of West’s adidas YEEZY footwear collection means a lot of the discussion revolves around fake sneakers. As Frank sees it, “The page helps educate people about shoes, and could help kids to know the difference between fake and real YEEZYs.” He says they are in talks with BBC to do a fake versus real comparison guide, so people don’t get scammed, but concedes the transactional nature of the page isn’t likely to change: “Reselling is part of the game.” Frank seems largely non-conciliatory with members of his group that pay high prices to resellers, explaining, “I never really had anything against reselling. That’s the grind. People that usually hate on reselling are the salty ones that always miss out.” Facebook has even integrated limited shopping functionality that allows users to specify the price, tag a location, then hit post and wait for offers. For now, Facebook is still hands-off in terms of facilitating payment and delivery of the products. Vivian’s efforts with Yeezy Talk have even expanded into the realm of physical merchandise, including hoodies and T-shirts that have been worn by the likes of Justin Bieber. “There’s so much hype for merch right now, so me and my friend Jake Binning thought we should make some exclusive merch for the heads to rep. The response has been good, even Justin Bieber has been wearing it.” In fact, the Canadian crooner actually liked the Yeezy Talk gear so much that he took to Instagram with a picture of two hoodies, and requested a hookup in the comment, writing: “Can anyone pull some strings I want this hoodie!” That’s a strong cosign by any measure, and the fact that Bieber is paying attention certainly attests to the sway of communities like Yeezy Talk Worldwide. For Supreme Talk, the Facebook page that solved my Supreme/Gucci Mane T-shirt dilemma, the community is equally important. 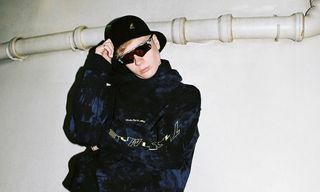 Though the group’s popularity has increased continuously over the last few years as Supreme has gained more mainstream appeal, founder and admin Lew Lower reminds us they have always been the biggest Supreme-related group, gaining traction soon after the opening of the Supreme London store in 2011. The page is populated by Supreme heads, including a lot of truly knowledgeable followers of the brand, but also many young kids who have discovered the iconic New York City skate label more recently, and may not be as well-versed in terms of Supreme’s early years. “I’m surprised at the group’s audience now. First, the Supreme target audience was late-teens to mid-thirties. Now it’s typically 12-18-year-olds, not that there is anything wrong with that,” Lew elaborates. While criticism has been leveled at some of these young Supreme fans, especially those who drop substantial amounts of money on the brand despite still being in elementary school — older heads call them out for spending their parents cash — Lew quickly rationalizes the situation, stating: “They’re into it for all the same reasons older people are. They might wear it because their idols wear it, or because they’re into skating, or because they just want to be onto something cool. I believe that age doesn’t change the reasons why people get into Supreme.” Of course the youth of today have access to one big tool that previous generations did not: social media. Instagram, Facebook, Twitter, and the like allow access to previously niche information at an unprecedented rate. 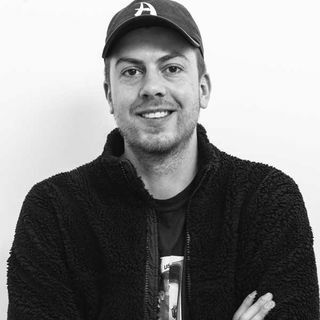 As a testament to the page’s roots and reputation, Supreme Talk occasionally works directly with London legend and Supreme London store manager, Jagger. Jagger posts from his personal Facebook account from time to time to ensure that queueing on release day is done in a calm and orderly manner, which is a huge help to his store’s staff, who are often inundated by the madness. “For certain drops, it’s become absolutely insane on Peter Street,” notes Lew. On particular release days, many even rely on images and tips shared in the group, for example, to find out how far the lineup snakes through London’s Soho streets on any given week. 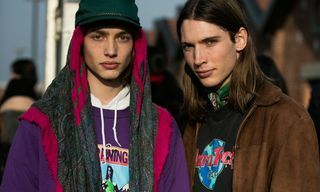 If anyone is positioned to understand the inner workings and benefits of the new frontier of digital fashion communities, it’s probably Leo “Gully Guy” Mandella. Introduced to sneaker and streetwear culture through Facebook groups, the 14-year-old has amassed an Instagram following of over 140,000 by keeping his feed regularly updated with the biggest signifiers in streetwear, including the latest and rarest pieces from Palace Skateboards, Supreme, Gosha Rubchinskiy and the like. Like Vivian’s Yeezy Talk Worldwide merch, Leo’s social media clout has provided a platform for him to start his own brand, which hasn’t officially launched at the time of publishing this article, but seems to be eponymously named Gully Guy. So far, we’ve glimpsed a range of T-shirts adorned with pastel graphics of what looks like a mid-1990s Nokia cellphone, which is, ironically, an avatar of a time that Leo is too young to have ever experienced. 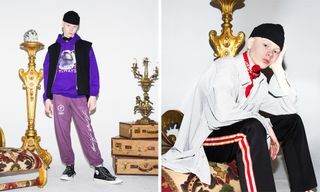 These Facebook pages, and others like them — many of them frequented by members of the Highsnobiety staff — seem to be filling a void that was left with the decline in popularity of internet forums frequented during streetwear’s (online) infancy. OG forums like superfuture, 5th Dimension, and Nike Talk were once some of the only places to connect with other fans of sneakers and streetwear, especially if you didn’t live in a big city. Ironically, today’s Facebook pages are being modeled around the very forums that turned all but obsolete a few years ago with the rise of social media. In fact, one could argue that Facebook page names like Supreme Talk and Yeezy Talk are an homage to, or at least a coincidental reference to, early forums like Nike Talk. Today’s Facebook moderators and admins ensure a loose hierarchy remains in place, vetting requests to join and settling disputes, endorsing approved sellers and filtering problematic ones, just as the forums did years ago. But with thousands upon thousands of active members, self-policing has become commonplace out of necessity, and just one bad transaction is reason enough to cop yourself a ban. One of the most interesting facsimiles of these Facebook communities is the act of a “legit check.” Items for sale have their authenticity tested by expert members who are able to identify bootleg product. Whether it’s the stitching on a Supreme box logo hoodie or the sole insert on a pair of YEEZY sneakers, certain telltale details will reveal if a product is genuine or not, but you have to know exactly what you’re looking for. Users themselves can also be “legit checked” based on references and past interactions in the group. All in all, this process is quite democratic. Conveniently, sneaker groups dedicated to specific shoe sizes or cities also exist — like Berlin’s Hauptstadt Treters (Capital City Kicks) or the hilariously named Toronto Streetwear Mandem — helping to simplify the process of buying, selling and meeting like-minded people. If you really dig deep, you might even stumble across obscure corners of Facebook like Roadman Talk, or a spin-off of The Basement dedicated to dark humor called The Bathroom. Going well beyond the forums of the past, on Facebook there’s something for everyone, no matter how niche or mainstream your interests. These growing digital communities seem to indicate a lot about the future of streetwear culture. 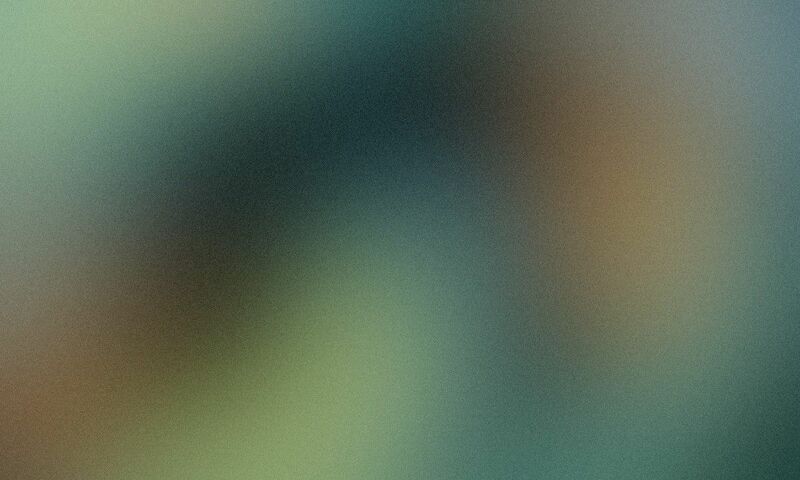 Kids subscribe to gain access to a largely un-curated stream of user-submitted information shown in real time; a digital mood board of sorts that delivers news with little or no latency. Scrolling through these streetwear-dedicated Facebook groups on any given day, you’re bound to pass a bevy of WTS and WTB posts, listed by those who are looking where to sell or where to buy respectively, but also a handful of memes. As a byproduct of the strange rabbit hole that is the internet, meme culture eventually met together with the world of streetwear, and this cross-pollination has given rise to a number of running jokes that surround brands like Supreme, Air Jordan, Palace Skateboards and others. The most prominent or successful example of a streetwear meme is surely the ubiquitous image of a tearful Michael Jordan from his Basketball Hall of Fame induction speech in 2009, but the examples go on and on. Obviously Supreme’s polarizing box logo design and products like the branded brick have provided a seemingly endless source of pictorial quips around Supreme — one mathematically adept fan even calculated that a 2,400-square-foot home made solely from Supreme bricks would cost $4,704,000. In terms of valuable, original content, these feeds are still quite adolescent in nature, and many users re-share a lot of content from primary sources like Highsnobiety, but simply put — as I’ve been finding out — if you strike out on Gucci Mane T-shirt or a YEEZY drop, have a question about a Supreme piece from 2007, or want to link up with other sneakerheads in your area, Facebook is the place to go to make it happen.